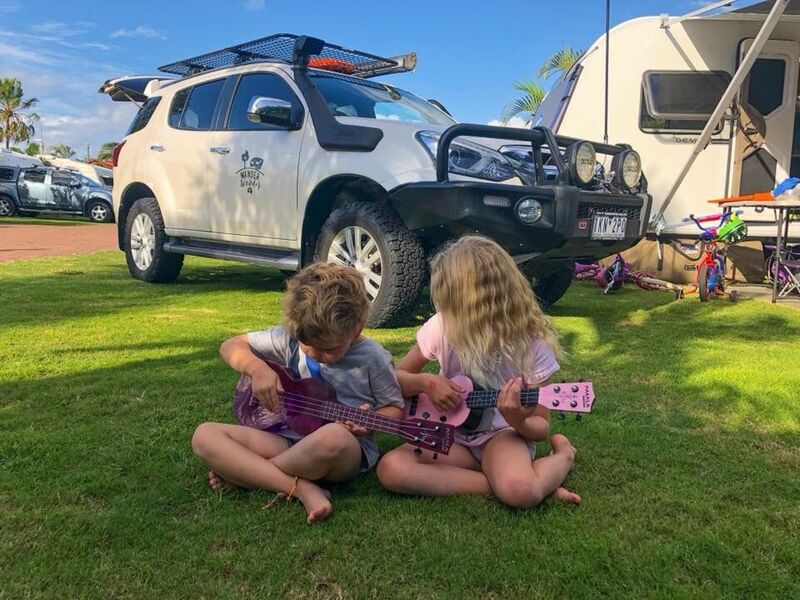 Hitting the Queensland coast for a lot of families includes a must see adventure on Fraser Island and a stop at Hervey Bay. 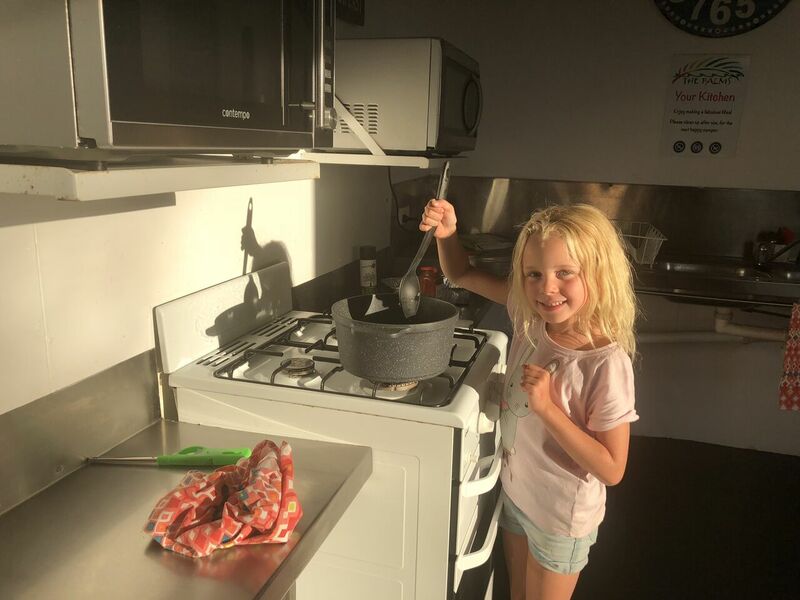 Wonder to Wander Oz stayed at The Palms Tourist Park a Family Parks park and we couldn’t wait to here what they thought. 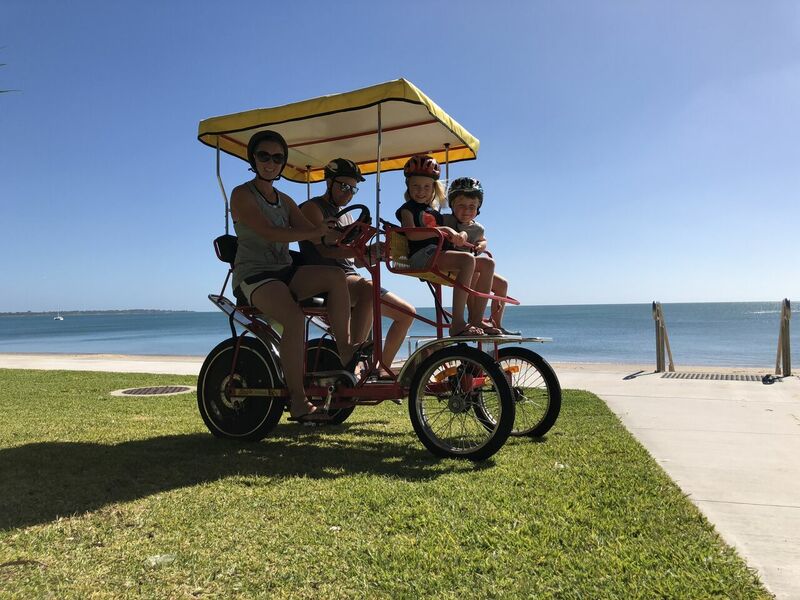 We couldn’t wait to hit the beautiful coastal town of Hervey Bay. 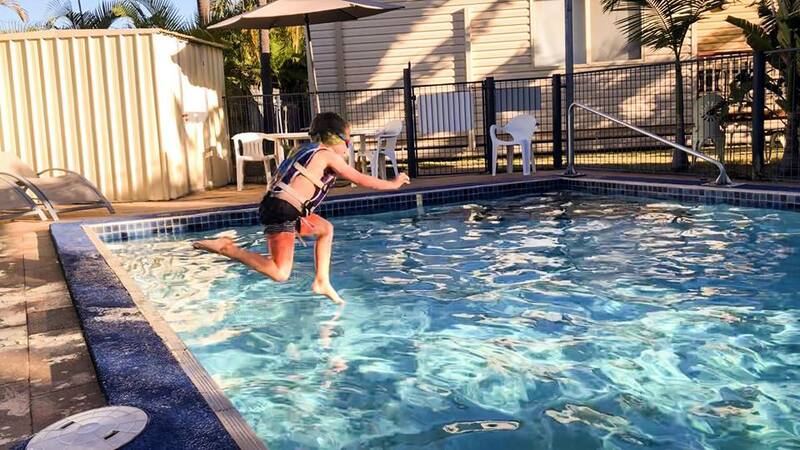 Boarded by 40km of pristine white beaches that are sheltered by nearby Fraser Island, it’s an ideal year round swimming spot for the kids with nice shallow, stinger free waters and an abundance of activities for the entire family to enjoy. 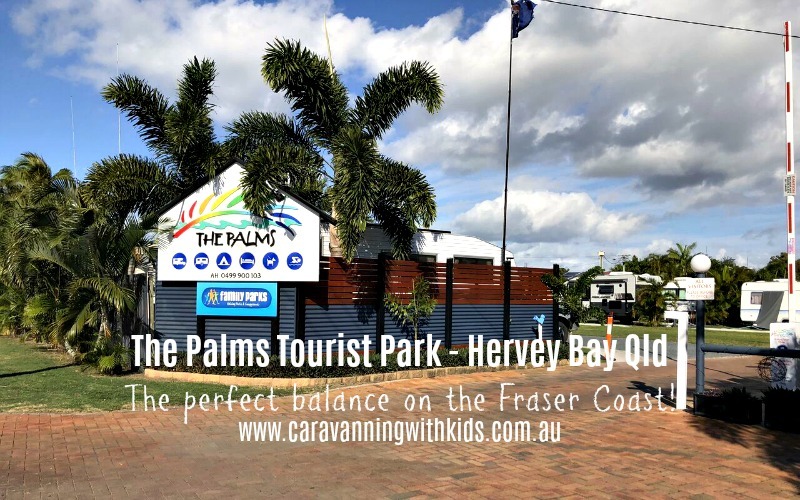 Fresh from exploring Fraser Island, we were all happy to be back in the comforts of our home on wheels and even better, to be parking it on a lush green site, boarded by tropical palm trees at The Palms Tourist Park. Ahhhhh, relaxation here we come! Offering powered and unpowered sites, affordable holiday villas and luxurious condos The Palms has accommodation to suit every need. They also offer free wifi (who doesn’t love that!) and have some of the most competitive prices of Hervey Bay. 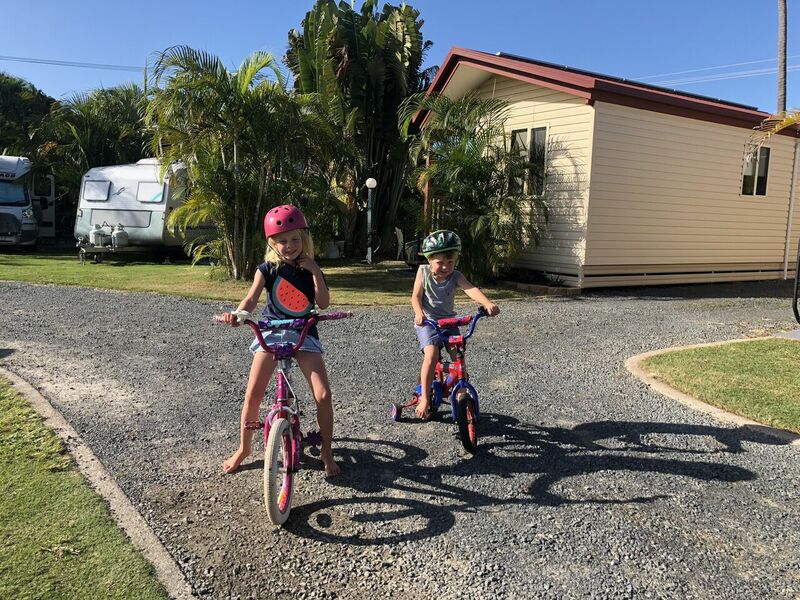 We often find it difficult to keep the kids at our caravan site when there are far more interesting activities around the caravan park, so it’s nice to stay at a more basic park and really let the towns features be the focal point rather than another jumping pillow! 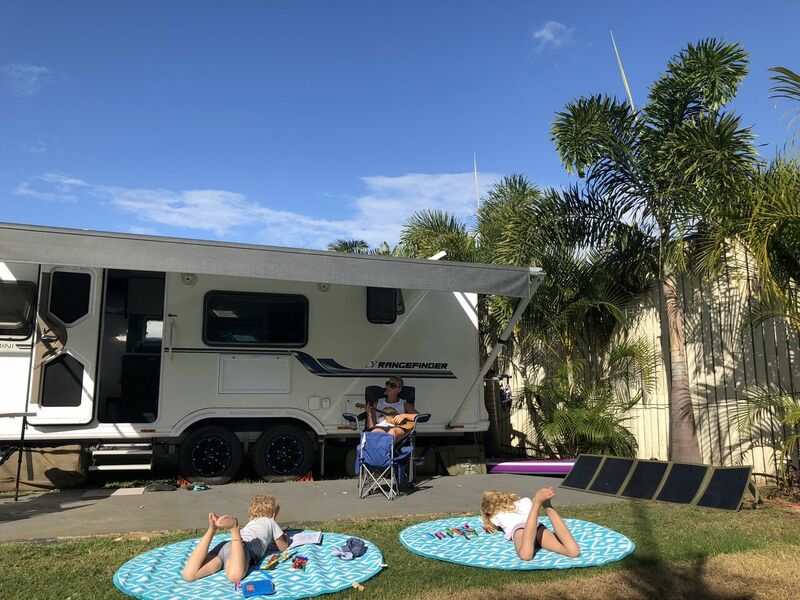 With the kids contently playing on the beautiful grass of our large site, we were able to get a heap of jobs done and even just put our feet up and enjoy the tranquillity of the park. 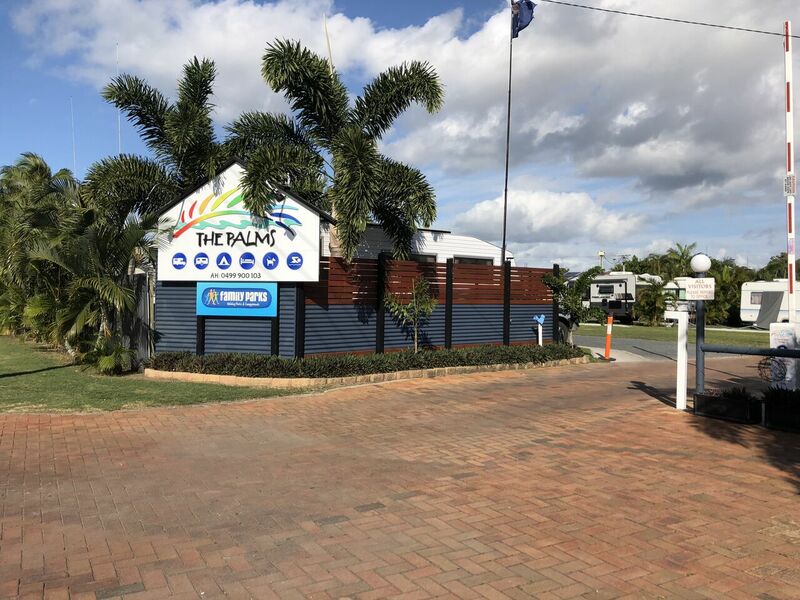 Located just a short 300m walk to the esplanade The Palms was an ideal base for setting off on foot to explore the beautiful Torquay Beach and the bustling Esplanade. 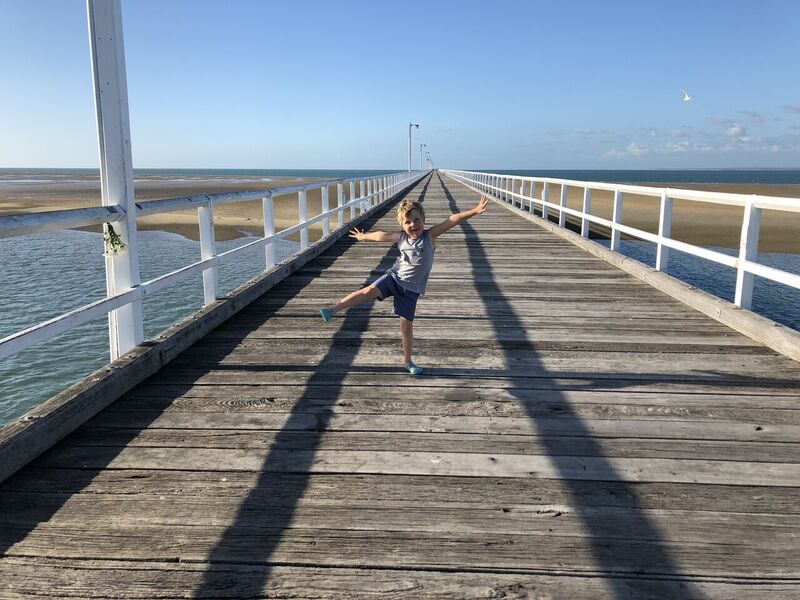 The historic Urangan Pier, epic new Adventure Playground and tonnes of cafes & restaurants were all within easy reach and the main town centre was just a 5 minute drive away. We had copious amounts of washing to do following our stay on Fraser Island so we were pleased to discover a well-equipped laundry and ample space on the washing line! 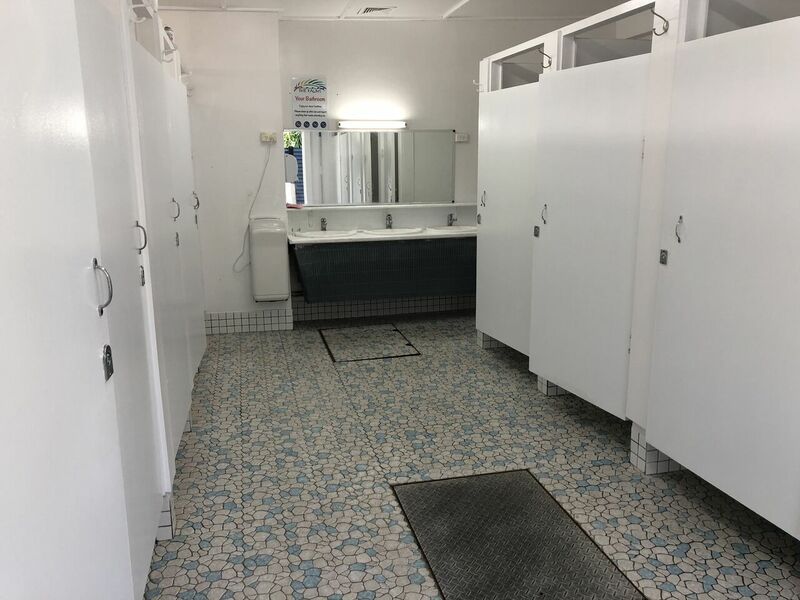 The bathroom facilities were quite dated, but they too were plentiful and always very clean, plus bonus points for the tunes playing throughout the day too, which I always appreciate! The park was one of the smallest we’ve stayed at and with less cars coming and going the kids could ride their bikes easily and still be within eyesight. Of course no park is complete without a nice pool to cool off in, and The Palms was no exception with a large swimming pool which the kids were quick to sample. The camp kitchen offered a nice tropical dinning area and was well equipped with communal cookware, two nice clean BBQ plates, a gas cook top and the elusive oven! 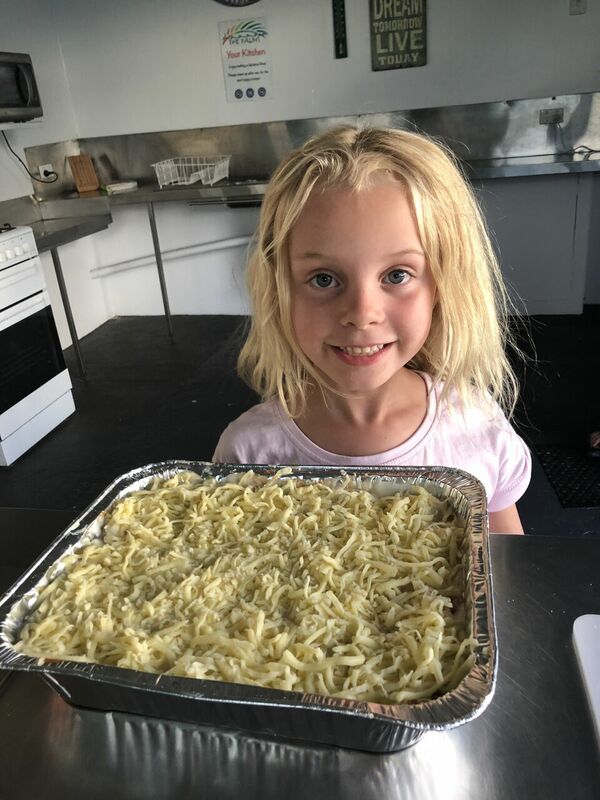 As soon as we spotted that baby, we knew it was lasagne time! 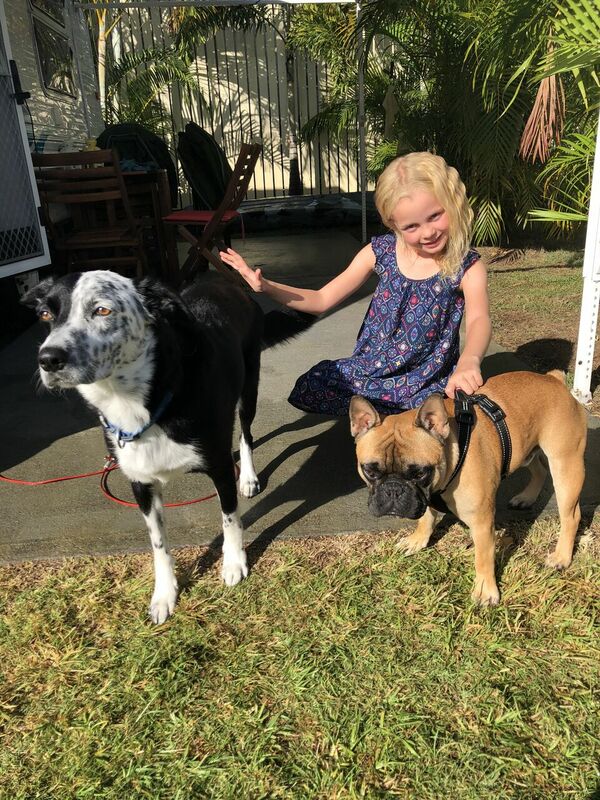 The Palms is one of the only pet friendly caravan parks in Hervey Bay and there were plenty of four legged travellers for us to admire during our stay. We spoke to several pet owners and they all raved about the park and about how important it was for them to be able to bring their furry family members with them on their travels. 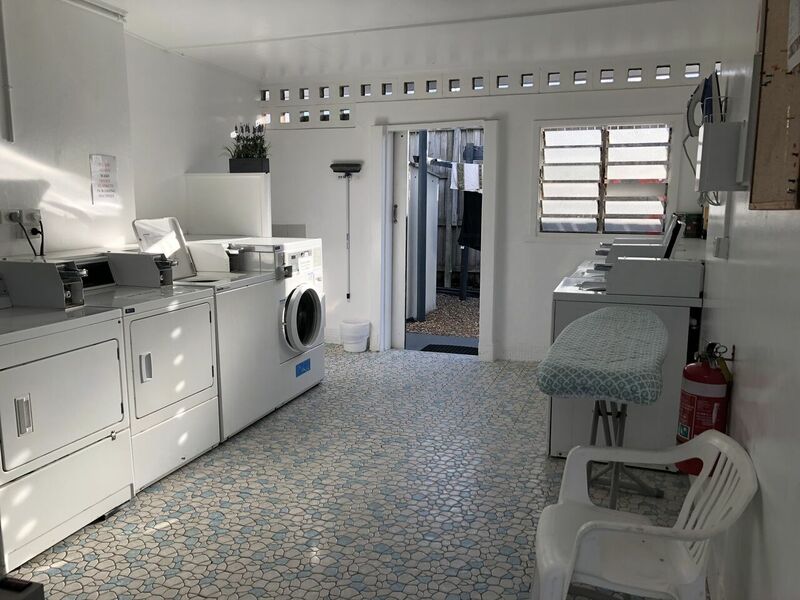 The park goes that extra mile and even provides dog wash facilities so there’s no excuse for sandy pups in the caravan! Have you checked our Caravanning with Pets?? We thoroughly enjoyed our stay at The Palms. Its location was the perfect balance of being close without being beachfront and the laid-back vibe with predominantly grey nomad guests were a welcome change from our normal hectic pace and sensory overload parks. Are you planning TASSIE?? 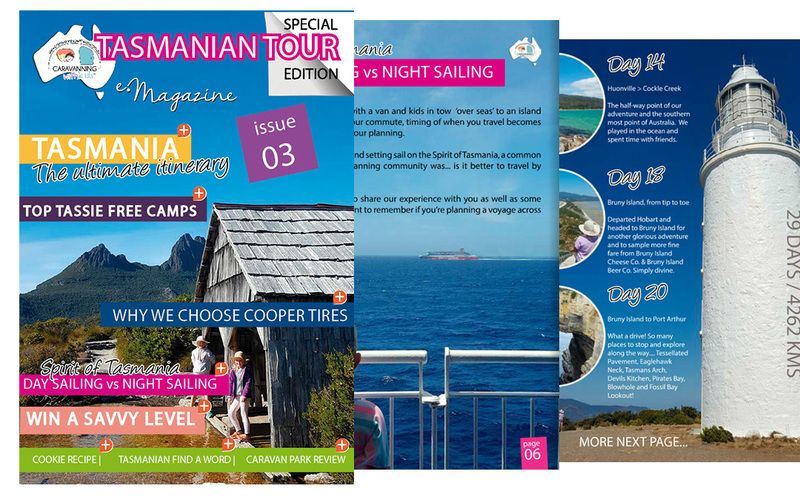 Check out our FREE Tour of Tassie eMagazine here.